America is a country built on tradition and defiance. 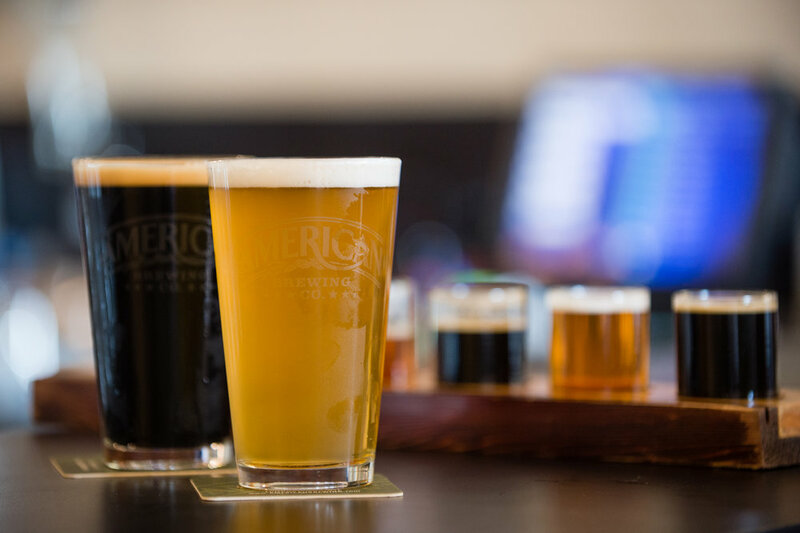 At American Brewing Company, we pour a little bit of this heritage into each one of our meticulously crafted beers. We honor our fore-brewers by heeding their lessons of technique and style; however innovation allows us to stand apart. We enjoy taking classic styles and giving them a twist, using science and inspiration as our guides. There is a revolution afoot and we are crafting it pint by pint. Join us in the charge and drink on the right side of history. Thank you for choosing American Brewing Company.